While the sample size of one team is vastly inferior to that of the entire minor leagues, I feel Toronto has enough depth in the farm -- particularly in the low minors -- that such a series could provide some insight into prospects that Blue Jays fans aren't as familiar with as they should be. This is the eighth and final installment of an eight part series that will examine catcher, first base, middle infield, third base, center field, corner outfield, right handed pitcher, and left handed pitcher. The middle infield and corner outfield lists are included as there's really no such thing as a second base or left field prospect, they're just shortstops and center/right fielders who couldn't handle the defensive demands and get moved to the easier defensive position as they age. It should be noted that -- outside of the Leader of the Pack, who is the #1 for the position -- these are not necessarily progressive rankings of the prospects. Despite being a second round pick in last year’s draft, Norris has the most upside of any player Toronto selected. As such, he received a 2M signing bonus from the club. Some might even consider that deal to be a steal, as pre-draft whispers had Norris demanding 4M to pass on his Clemson commitment, which heavily contributed to his drop to the second round. 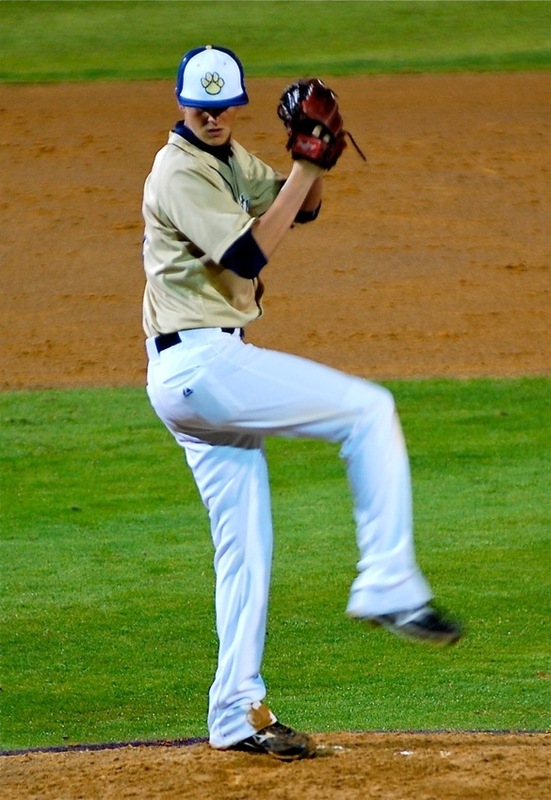 Beyond his obvious pitching abilities, Norris was an excellent position player as well during high school. It’s sometimes difficult to consider a player who has yet to throw a professional pitch to be the Leader of the Pack, but Norris’ front of the rotation potential puts him ahead of the rest. Norris is well built at 6’2”, 180 lbs, and it’s scary to think there could still be some velocity projection on his pitches. His fastball is easily his best pitch. Sitting in the low 90’s, Norris shows plus-plus potential with his fastball as it touches 96-97 mph occasionally. With continued growth, that “occasionally” could become “regularly”. What makes the pitch even more impressive is his excellent fastball command. Norris flashes a future plus-curveball, but its effectiveness is directly linked to his mechanics. When his delivery is smooth he can snap them off beautifully, but the pitch begins to loop and he loses command when his mechanics are off. 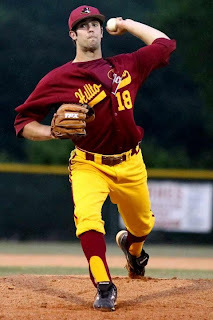 He also features a changeup, but its usage was minimal in the high school ranks. Norris will have to jumpstart its development when he arrives in professional ball in the spring, as two pitch starters can only work for so long. Norris has excellent makeup and mound presence, two things that are often rare in such young players. After compiling 68 innings for his high school team in 2011, Norris very well could be ready for a full season assignment out of the spring. A short season assignment would limit his inning total to roughly 50-60, but Single-A Lansing would allow him to get to 90-100 innings before shutting things down in August. It should be interesting to see where Toronto places him, as it will be a great indicator of their developmental plans. Like Noah Syndergaard and Drew Hutchison in the right handed division, Nicolino exploded onto the prospect radar after decimating two minor league levels in his first season. Nicolino is yet another impressive arm that was acquired in the 2010 draft –- Toronto GM Alex Anthopolous’ first at the helm. 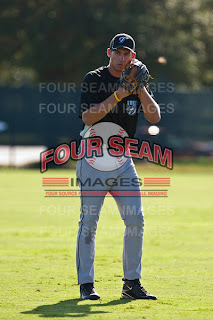 A second round pick, Nicolino was the 80th overall selection but receiving a well above slot signing bonus of 0.615M. He began his season with Low-A Vancouver and was video game good -– 1.03 ERA, 0.75 WHIP, and 64 strikeouts in 52.1 innings of work. 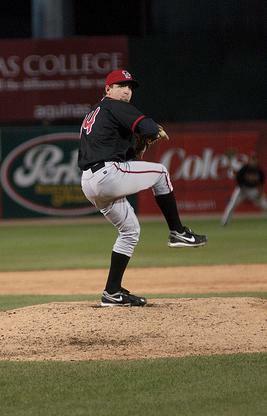 He received a well-earned promotion to Lansing in late August where he made three “starts” to close out the season. I use the term “start” loosely, as he pitched only 9 total innings in those three games, likely to keep his routine consistent while reaching his season inning plateau. In terms of build, Nicolino carries a lot of similarities to right-handed High Riser Drew Hutchison, as he’s lanky and rail-thin at 6’3”, 160 lbs. That’s great news, as his fastball is already an above average pitch and should only improve as he approaches 180 or 190 lbs. Currently sitting in the 89-92 mph while touching 94, it has the potential to grow into a 91-94 mph fastball capable of touching the mid 90’s. He combines that fastball with a very advanced changeup which was likely the main contributor to his ridiculous success in Low-A. The change has plus potential, and not only does he have excellent arm action on the pitch but he’s capable of throwing it to both corners with success. His third pitch is a curveball that needs a lot of work, but it’s at an acceptable developmental level for a 19 year old. Curveballs are much more difficult to learn than sliders, so it can often take years for a pitcher to get tight rotation and avoid looping the ball to the plate. Like Norris his mound presence is excellent, and his baseball IQ really shows itself off when he dissects hitters with pitch sequencing and location. He should help anchor a ridiculously deep Lansing staff to open the 2012 season. When an 8.56 K/9 is the worst strikeout rate amongst of group of pitchers, you know you’re dealing with some talented arms. Murphy is yet another high draft pick in the primer, as he was a second round pick in the same 2010 draft that has produced so many excellent right-handed and left-handed pitchers. Murphy agreed to terms with Toronto on deadline day, receiving an above-slot signing bonus of 0.8M. Signing so late forced Murphy to miss the remainder of the 2010 season, which was likely a poor decision given that he was already old for a high school player at 19 years old when he was drafted. Now 20 –- and turning 21 later this month -– Murphy really needs to get his career going. For a 21 year old to enter their third year in an organization with 41 career minor league innings –- all of which came in the Gulf Coast League –- is troubling. Murphy’s fastball is above average to fringe plus, sitting in the high 80’s to low 90’s and touching 93 mph with above average fastball command. His curveball clocks in the mid 70’s and has drastically improved the last couple of years, as he has transformed it from a looping curve to a hard biting curve with some room to grow. Like seemingly every Toronto high draftee, Murphy also throws a changeup. It’s a solid average pitch –- with above-average potential -– and he’s aggressive with it, which is a rare quality in young players. His command is average but can be an issue at times. What might be working against Murphy the most –- beyond his age -– is his build. He’s stands 6’3” and is very athletic, but is already 200 lbs, so it’s doubtful there’s a lot of projectibility left in his frame. I sincerely hope Toronto hands Murphy an aggressive assignment, as at nearly 21 years old it’s time to see what the guy can do. Since making the transition to relief pitching partway through the 2010 season, Crawford has been raising eyebrows with good strikeout rates and outstanding groundball ratios. Over the past two seasons, he has struck out roughly a batter per inning with a GO/AO ratio in the 2.50 range. As an eighth round pick, Crawford was the lowest selection of any pitcher on the primer, and it was likely due to his lack of potential as a starting pitcher. Crawford isn’t an imposing figure at 6’1” and 175 lbs, and his stuff likely began to diminish in the later innings of starts as his stamina waned which led to the move to the bullpen. He carried his relief success over to the Arizona Fall League, possibly as a precursor to some Major League work next season. Crawford’s arsenal is much better suited to the bullpen, as he’s basically a two pitch pitcher. His fastball sits in the low 90’s, but its effectiveness goes far beyond velocity. The sink on the pitch is very heavy, which allows him to work consistently low in the zone to both righties and lefties and induce a ton of ground balls. His breaking pitch is a mid to high 70’s hammer curveball and is capable of striking out Major League hitters right now. Crawford has a lot of deception in his delivery. He hides the ball very well during his windup, which, from the hitter’s perspective, makes it look like the ball is coming out of his shoulder and creates difficulty in picking up the rotation. Crawford has little else to prove in the minors, and should get an extended look in Spring Training. He’ll likely be one of the first injury replacements from the minor leagues. Finishing off the list is Mitchell Taylor, yet another player selected in the 2010 draft. A Texas high school arm, Taylor received a 0.367M bonus from the Blue Jays, which, unsurprisingly, was an above slot deal. Taylor isn’t a big guy by any stretch of the imagination, but he gets everything he can out of his 6’0”, 155 lbs frame. While some point to his size being the reason he fell to the seventh round, it likely has a lot more to do with a midseason suspension from his high school during his draft year, which throws up all kinds of red flags regarding makeup issues. 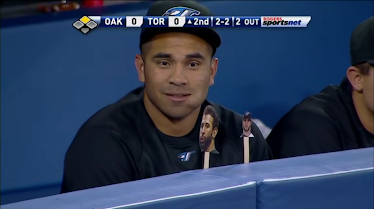 Toronto took the chance, however, and given how they tempered any concerns over attitude with guys like Brett Lawrie and Kyle Drabek, they obviously feel comfortable dealing with guys who can lose their cool on occasion. Interestingly, Taylor is on a strange developmental path that includes polish, ceiling, and projectiblity. His stuff is very developed and polished for a high school draft pick, but given his frame there is still a lot of room for growth within his arsenal. He features an 87-92 mph fastball with good fastball command, as well as a power curveball that usually clocks in the high 70’s. He doesn’t really have a third pitch to speak of at this point, but if he hopes to continue working as a left-handed starter he’ll need to develop a changeup down the road. Taylor’s delivery might be one of his most characteristic traits, and is one of the reasons why scouts think there is some good projectibility here despite the small 6’0” frame. 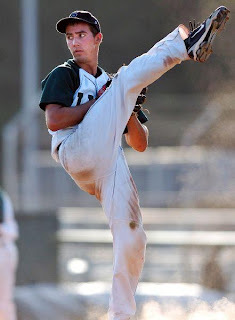 Taylor’s windup starts with an extremely high leg kick but continues with a very quick and smooth delivery. It’s so smooth it almost looks like he’s casually throwing warm-ups, but the ball is clocking around 90 mph. It’s easy to see how a few mph could be added to the fastball without causing any added strain to the arm. 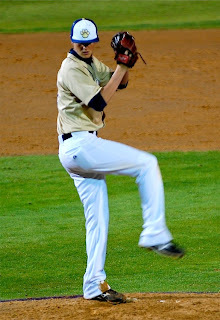 A video of his delivery can be found here, from MLB.com’s 2010 draft coverage. After pitching well for 55 innings with Bluefield in 2011, Taylor is probably ready for a full season assignment with Single-A. However, due to sheer numbers, Taylor could find himself as the odd man out. One option might be to keep him in extended spring training for a month or two until other arms advance, then send him to Lansing in mid May or early June to throw 80-90 innings for the club. His delivery is so clean I can’t see a reason to baby him with another short-season assignment.